My name is Angelina and I blog over at JoJo & Eloise. I am always so thrilled to be able to share some fun ideas with you here. I must admit I find myself sewing and creating for my girls a lot more often than I do for my Sweet boys. 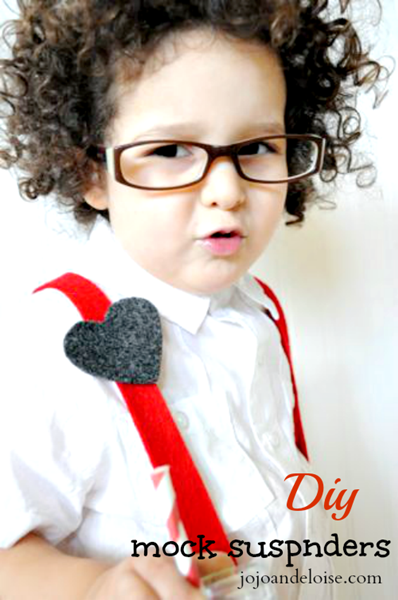 So, today I thought I would share a very simple tutorial on how to make Mock Suspenders. I bought some Suspender/Mitten Clips at Joanns. I also used some felt I had on hand and my trusty hot glue gun. I cut 1inch strips from my felt, then slipped my strips through the opening of my 2 of my clips. I measured how much I needed for the front clips and repeated the same process I did on the back clips. For fun I hot glued a heart to the suspender strap. You could leave yours plain or even add a “Sheriff Star”, how cute would that be. These are so very simple and you can make these up in a matter of minutes. 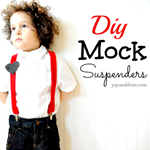 I sure do hope you have fun making some of these, Diy Mock Suspenders!! Are these adorable or what? Love it! 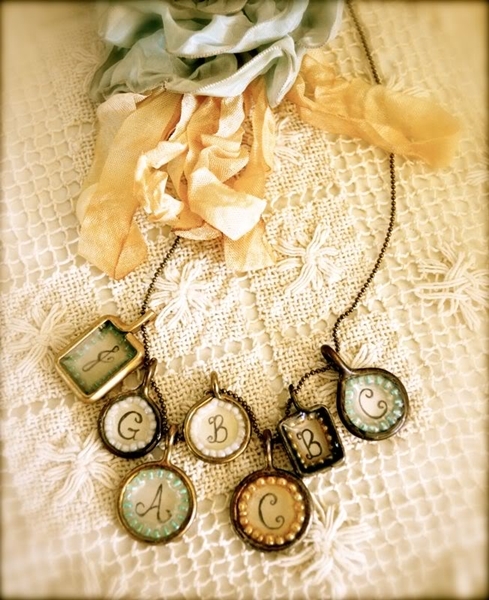 like these gorgeous handmade pendants. You can also find Angelina on Facebook, Twitter, and Pinterest. Oh my goodness, Angelina…you’ve done it again! 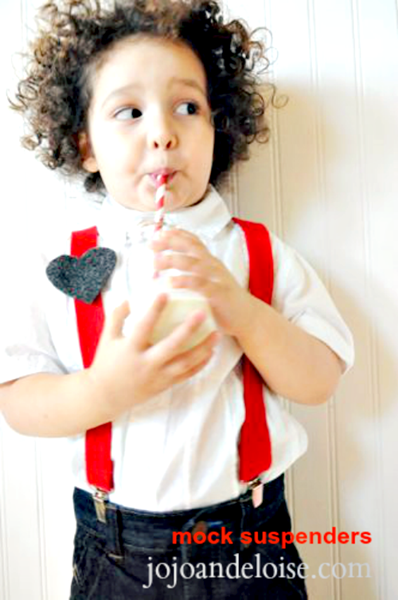 How cute is he, and I LOVE suspenders! Always a thrill to see Angelinas projects! So awsome and the cute little guy is such a heartbreaker :0) thank you both for sharing and have a great week! That has to be the cutest stinkin’ model I have EVER seen! He totally owns those suspenders! What a handsome little man! Excellent tutorial too. Cheers.